I’ve been thinking a lot about postpartum depression lately. I don’t know if it’s because my son is now two months old, which is right around the time I began to weaken under the grip of postpartum depression after the birth of my previous child. Or maybe it’s because I’m just realizing all the joys and warmth I’ve missed because of it. These days as I soothe my crying son to sleep, wake up two or three times a night to feed him in the dark with just enough light to see his tiny mouth suckling at my breast, memories of those terribly lonely nights start coming back. As I spend my busy days balancing his needs with my own- washing, cleaning, cooking, feeding, burping, changing, putting to sleep, writing and creating, I can’t help but to remember nine years ago when I used to live in a tiny, isolated world called postpartum depression. I began to feel a tinge of coldness and numbness come over me about 4-5 weeks after the birth of my second daughter. I wasn’t quite sure what that feeling was, as it was something I’ve never felt before. Knowing how sleep deprived I was during that time, I simply dismissed it as a side effect of exhaustion. I was tired, overworked and overwhelmed by the demands of motherhood. I had a 23 months old daughter who was exhibiting signs of developmental delay (not walking, not saying words, etc.) and a 2 months old baby who needed all of me both physically and emotionally. Between taking care of my two daughters, house chores and wife duties I slowly disintegrated under the false pretense of having it all together. Because the truth is, I didn’t know a single mom who was having trouble taking care of her own kids. I mean come on, it’s your own children. What kind of horrible mother is unable take care of her own kids? I was educated, informed, responsible and independent. There was no way I can be having trouble mothering my own children when millions of mothers handle motherhood without a problem. So I continued to push forward without listening to my body or my mind, without remembering to breathe, without knowing what self-care means…just pushing forward while my tank is empty. My hormones crashed along with my self-esteem. The next time I looked up, I was living under a gloomy rainy sky while everyone else was enjoying the sun. I wanted the sun more than anything, but I felt so far removed from everything, even my old self. One day about two months after my daughter’s birth, I began to feel dizzy and short of breath as if someone was choking me. Could this have been postpartum anxiety? Looking back, I’m fairly certain that’s how it feels to suffer from anxiety although I wasn’t officially diagnosed at the time. On that day I knew something was terribly wrong with my mind and my body as I laid on my bed crying, hurting and frozen while my 2 months old daughter continued to cry. 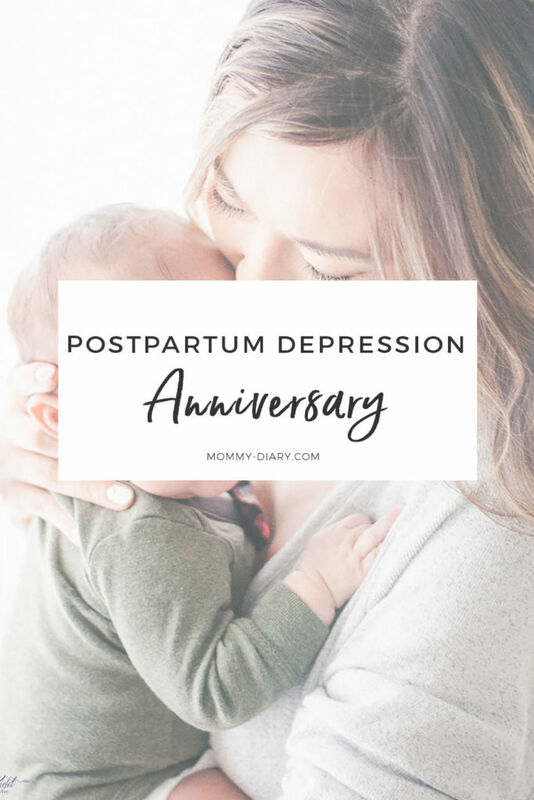 It took some time for my husband and other family members to notice something was wrong with me because no one knew about postpartum anxiety and depression at the time, including myself. By the time they did, I was already deep in its grip. Once I realized something was wrong, I sought professional help and began taking anti-depressants. You can read more about my postpartum journey here and my second birth + ppd story here. 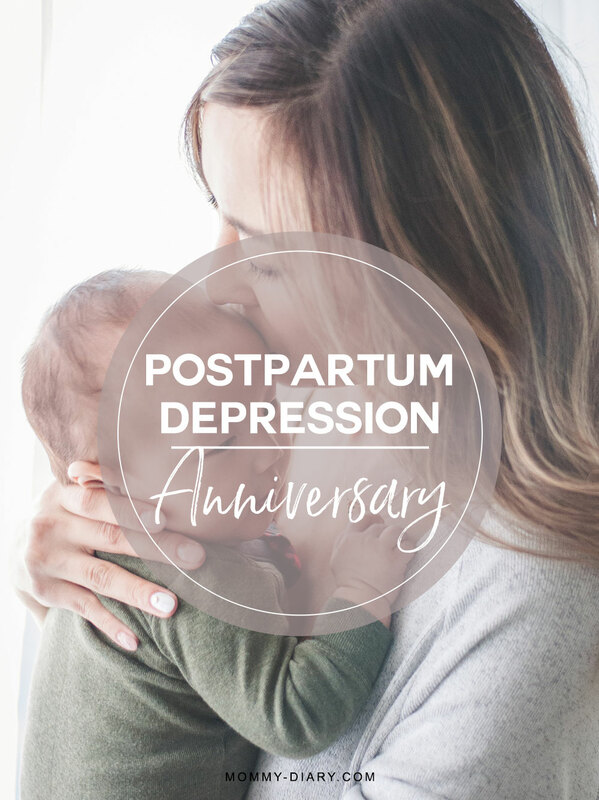 It’s been 9 years since my postpartum depression journey and thanks to therapy, family support and change of perspective, I came out of it stronger and happier from the other side. Actually I’d like to say I survived postpartum depression because that’s exactly what it felt like- an intensely lonely battle that affected the most precious time of my life. So why are these feelings and memories coming back to me? After some research, I learned what I’m experiencing is similar to post traumatic stress anniversary where certain events, memories and dates trigger the trauma. This occurs because traumatic experiences are saved in memory, and this memory helps us to be aware of when we should be afraid, how we should access the situation, how to feel, what to think. In essence, the trauma memory helps us to feel safe. Today it feels strange to type out these words because the woman who suffered from postpartum depression does not sound like me. But she is a part of me and I want to remember her pain as well as celebrate her strength. I don’t want to betray her, I want to represent her. Even though I still grieve the loss of my first six months with my precious daughter, I’m grateful for all that I gained during that time. I lost some but gained more. I now know how to surrender and let go of control, how to take care of myself, how to ask for help and most importantly, how to love my children without guilt or shame. I can now feel all the joys that a mother feels when she welcomes a new child into the world. Sometimes I just look at my three children and feel my heart swell with so much gratitude, joy and love that it’s hard to put into words. I can feel these things now, and I will never again take these feelings for granted. So how are you feeling today? No, how are you REALLY feeling today? Are you taking care of your physical and mental state? Are you allowing yourself to feel the natural hormonal changes of your body? Do you ask for help when you need it? Do you have a spiritual life? Are you doing too much? As a mom who once thought she had failed, and learned the fullness of motherhood through another pregnancy and child, I’d like to end this post with some important reminders. Please be kind and gentle to yourself. Don’t forget that the best mom is a happy mom. Everything else can wait; your kids can see right through you. Don’t try to do too much, that’s what family and friends are for. If you need help ask. If you’re not feeling well, that’s okay. It’s perfectly normal to feel sad sometimes. Let yourself cry. It’s okay to yell at your kids once in awhile. It’s okay to cry in the shower. Tell your kids mom is sorry, but that she is having a hard day. Tell them hard days are normal. Tell them imperfection is okay, because you’ll love them anyway. They’ll offer the same heart to you. Kids are full of mercy and grace; they will forgive you and love you anyway. Don’t let imagined feelings like guilt and shame affect your happiness. Such things do not exist. Your love is enough. Even if you are suffering from postpartum depression today and have trouble feeling the love and the joy, it’s clearly there. You just have to seek help, dig a little deeper and never give up. You will get to the other side and you will rise higher. This is the journey of motherhood. It teaches us things and challenges us to the core. The good news is, we’re in it together. You can read my practical tips on overcoming postpartum depression here. If you like this post, please pin the photo below. It helps other mothers find this post and supports this blog. Thank you so much! I know this well. I struggled with postpartum depression after my first son was born. His colic added to my feelings of not being good enough. 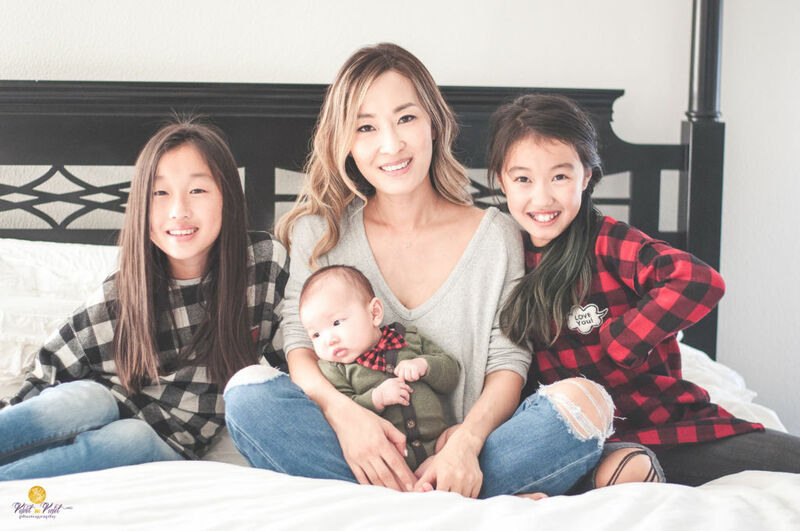 I felt alone when I wasn’t and never felt like a good mom….was a very hard place to be in. So thankful to have made it to the other side. Your words definitely speak to me, friend! This is beautiful. I felt those exact same feelings after giving birth to our twins, and even a year and a half later my postpartum anxiety tries to haunt me every now and then. I totally understand your feelings and I can only imagine how much harder it is with twins. Hang in there mama and take it one day at a time. Anxiety still gets a hold of me too and I have to remind myself to breathe and tell my mind not to go there. Just know you’re not alone! thank you so much for sharing! I was never diagnosed with PPD with my first but definitely knew something was off. I wish I had a community like our blogging community of mamas at the time! Thank you Lyndsey! It’s probably because you’re super healthy and fit. I wish I did that after my two kids too. I was so lonely, this blogging community would’ve definitely helped too. You’re doing great and you look amazing! Keep up the good work! Thank you so much for writing this. I needed it. <3 I'm fighting through my own struggle right now, but I know one day it will end. Thank you for sharing…. a lot of times we feel alone as mothers … postpartum depression is so hard! It really is and I’m so glad I survived it. It gave me a much deeper understanding of motherhood in genera. Thank you for reading! This is such a beautiful and poignant post, my friend. I don’t know first hand, but I can only imagine feeling alone in the midst of going through PPD. Posts like these bring so much light and awareness to post partum health and recovery. You are such an encouragement and support to so many mamas! Thank you so much Jeeyoung. This experience was traumatic (even to this day) but I’m glad I experienced it because it made me less judgmental, more empathetic. And until this happened I thought I had everything together. Hah! Your support and encouragement means a world to me and I want to do the same for other moms who may be going through similar emotions. Thanks for reading! I love how you wrote that you want to remember the woman who went through postpartum depression and represent her. It is so clear in your writing that you have overcome and grown from the experience and can support others who are going through the same. I really enjoy reading your writing. Thank you for reading Malissa! Isn’t it funny how the most challenging job in the world comes without a manual, with very little support? As if we mothers are just born to do this without kindness, understanding and love? I’m glad you enjoyed it and thank you so much for sharing. It really means a lot. Happy new year friend! Angela, I love the way that you are embracing that dark period in your life by celebrating just how brightly you have bloomed. You have such a gentle, thoughtful soul, as is evident in your writing. Thank you for sharing honestly with all of us; it is more helpful than you know. I’m so happy to see more and more women talking about this. I struggled terribly with PPD after the birth of my second child. It feels like a miracle that I made it out alive to tell the tale! Keep sharing….you’ll save someone’s life. I never thought of the traumatic memory in our lives being something that is saved inside of us to “protect” us. Whenever I was reminded of something that was a bit traumatic in my past, I always thought I had to just try to fight through the memories and possibly even heal and “forget” the past. But it was always there. Now I know to embrace and fight for the person I was in the past and not against her. I didn’t suffer from ppd, but I did have lots of lonely bouts and feelings of no one understanding what I was going through. Thanks for sharing your story as it resonated in me this morning. You’re welcome Esther. It’s possible you could’ve suffered from ppd, just a lighter form than mine. Depression is just that, feeling bouts of loneliness and isolation. Society teaches us to fight through these things but I think it’s much more effective and healing when we embrace it. We nurture it, love it, and let it go. Glad you’re feeling better. It’s really a never ending battle. You’re doing great mama. Cheers!